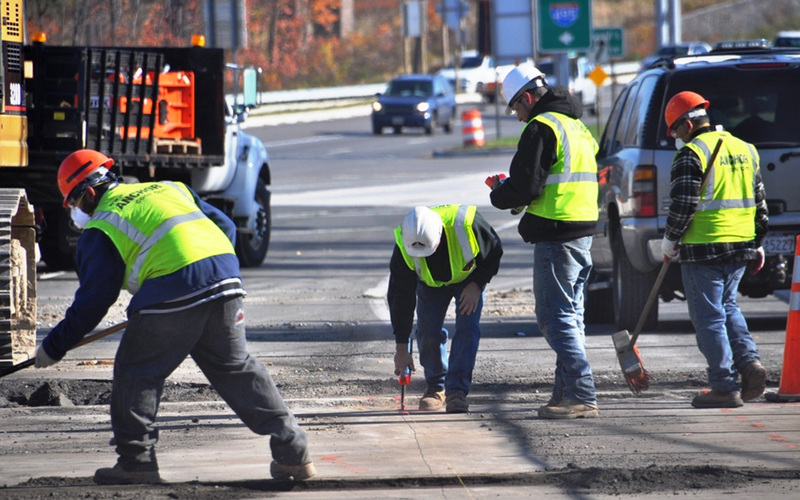 Highway and bridge contractors hired an additional 6,800 workers in June 2018 compared to June 2017. Employment increased by 1.9 percent, showing monthly June gains for a fourth year in a row, according to the latest data from the U.S. Bureau of Labor Statistics. 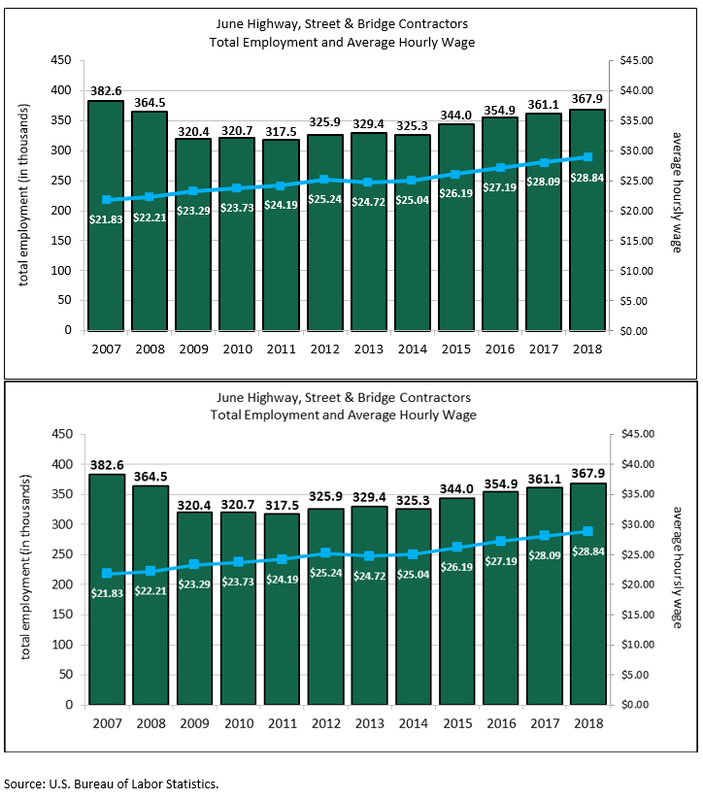 Workers in highway and bridge construction also spent slightly more time on the jobsite, working an average of 46.5 hours per week in June 2018 compared to 45.9 hours last year, a 1.3 percent increase. Average weekly earnings were up 4 percent in June 2018 compared to June 2017. Average hourly wages increased at a similar rate. Employment in the overall construction industry was up 4.4 percent in June 2018 compared to June 2017. Most construction sectors saw employment gains, with slight declines only in land subdivision and other heavy construction.